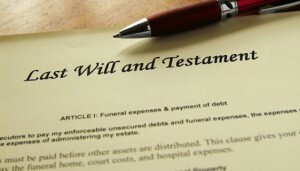 Wills & Estate planning makes sure that the transfer of an estate to another generation is done so that the greatest amount of the estate is passed on, minimising taxes and the involvement of the courts. At Rochelle Belcher Lawyers, our aim is to see every adult Australian with a current, tax-effective Will. Rochelle Belcher Lawyers knows that sufficient estate planning is necessary to meet the needs of those left behind, and that it is of the utmost importance to you that your estate goes where you want. Our concern is that Australians are not yet fully advised on the dangers of not having a current Will. Wills planning and estate planning, as well as the administration of estates, are services that Belcher Lawyers prides themselves in, providing quality advice on the handling of taxation, insurance, asset protection, business structures, personal liability, and discretionary trusts. Have you got maximum protection for you, and your family? Are you aware of the steps to protect family assets from claims and to ensure they’re passed on in the way you want?